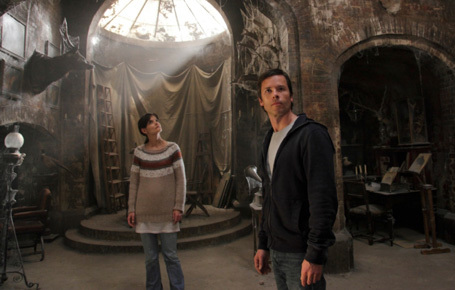 Alex (Guy Pearce), a property developer and his girlfriend Kim (Katie Holmes), an interior decorator, move into an old Gothic house in Providence, Rhode Island that they just bought. Their plan is to renovate the house before selling it. Alex is also is planning to showcase it in a number of property magazines, with the aim of relaunching his flagging career. The couple are joined by Alex' young daughter Sally (Bailee Madison). 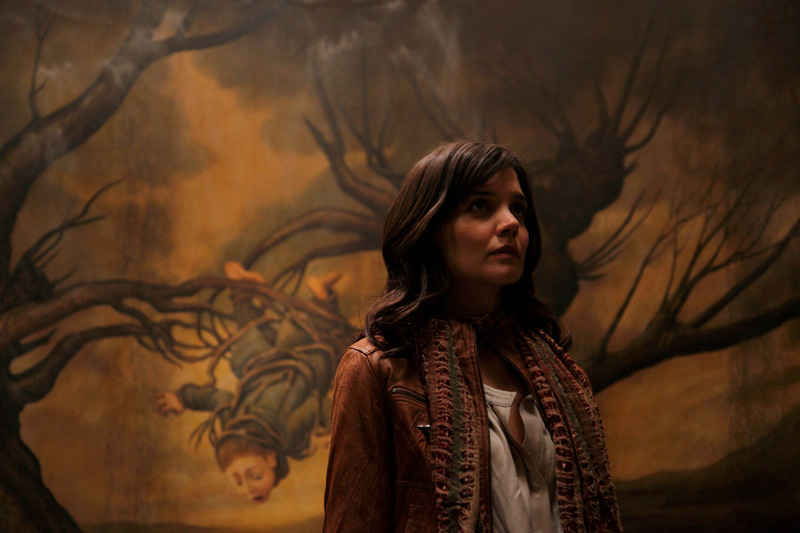 As she stumbles upon the basement, Sally discovers that the family is not alone. What's down there and why is the entry to the furnace bolted so tightly? Don't Be Afraid of the Dark is Canadian filmmaker Troy Nixey's first feature film and is based on a 1973 British telemovie by the same name. He began his career as a celebrated comic book artist, and went on to direct a short called Latchkey's Lament (2007), winning critical acclaim at the Toronto International Film festival held in the same year. Mexican director Guillermo del Toro, who co-wrote the screenplay with Matthew Robbins, had seen the telemovie as a child and was so taken by it that some of its elements would later find its way into a number of his own films, including: The Devil's Backbone (2001), Hellboy (2004) and his most celebrated work to date, Pan's Labyrinth (2006). Needless to say that del Toro had always dreamed about remaking this film but the project was left on the back burner. In what is now an apparent stroke of genius, the character of Sally, originally the lead adult female character in the telemovie (played by Kim Darby), was recreated by del Toro as a ten-year-old child and the choice of Bailee Madison for the role is truly inspired. Pearce is in good from, while Holmes provides a balanced, sensitive performance. Her concern for the child is both genuine and moving. However, nine-year-old Bailee is the real standout. There are of course, several icons of Australian film and television, including the legendary Jack Thompson as Harris, the resident handyman/house keeper. In an Australian entertainment Hall of Fame, Thompson would most certainly have a wing all on his own. Another is Gary McDonald as Blackwood, the original owner of the house. Who could forget the character of Norman Gunston, or as Arthur, the house-bound younger son in the TV series Mother and Son? There is also Julia Blake, another veteran of Australian film and TV. Her most important films to date include Patrick (1978), Man of Flowers (1983), and Travelling North (1987), as well as X Men Origins: Wolverine (2009). 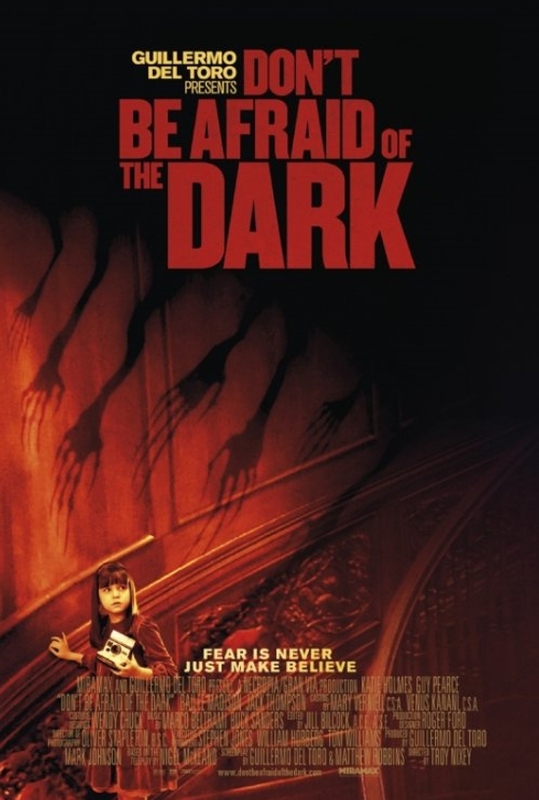 Don't Be Afraid of the Dark is a very well crafted film. It has all the ingredients of a fantasy-horror movie: atmospherically dark, gloomy, sinister and at times, incredibly creepy. To their credit, Nixey and del Toro were able to achieve these effects without the excessive gore that pervades an increasingly large number of films of this genre. Unfortunately, despite the impressive visual effects, Don't Be Afraid of the Dark has one major flaw. The secret of the basement is revealed much too early and from then on film loses its edge and with it it's ability to frighten.